For an easy and light summer dinner, put some spice rub on a chicken and add pine nuts to your vegetables! You can make your own spice rub or buy one. Here is one that I bought from my travels in Napa Valley. 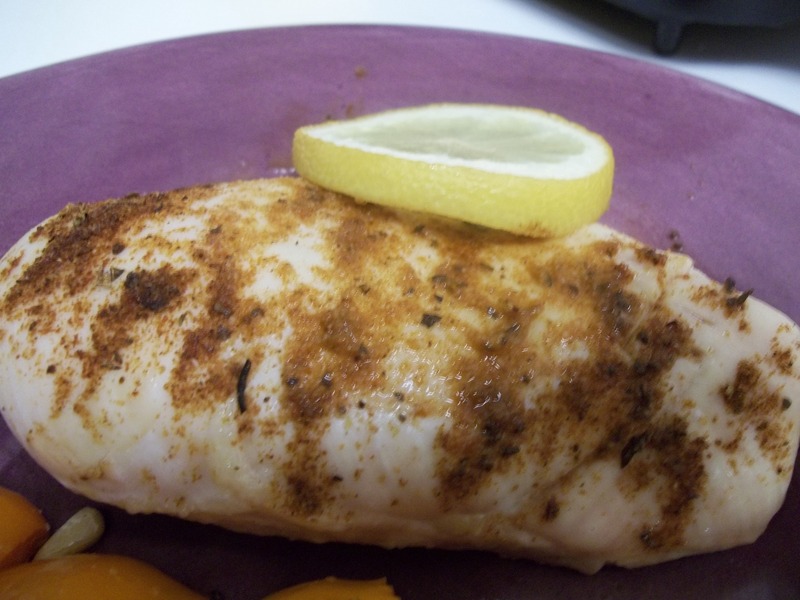 To use the spice rub, I cooked chicken breast simply… I put the chicken rub on the top of each chicken breast along with a slice of lemon, and baked for about a half hour at 375 degrees. The spices were so flavorful, I didn’t need to do anything else to the chicken. The ingredients are sea salt, garlic, onion, sugar, paprika, mustard, rosemary, sage, thyme, basil, cayenne pepper. So, even if you can’t make it to Napa Valley, you could make your own spice rub with these basics. As for the veggies… I cut up a summer squash and an orange pepper. I baked the slices on a baking sheet, with a drizzle of olive oil and a sprinkle of the truffle sea salt (also at 375 degrees). I then toasted some pine nuts and celery seed in a pan over low heat for just a couple of minutes. Pour the nuts over the veggies, add a squeeze of lemon juice, and serve. Delicious! It was a unique combination, and very tasty!